The Latin America and Caribbean Workshop (LACW) provides graduate students a forum to present their written work on the history of Latin America and the Caribbean. LACW meets on select Friday afternoons from 4:30pm to 6:00pm in Dickinson Hall. 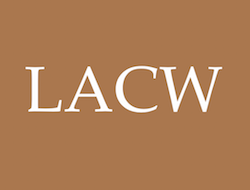 LACW is sponsored by the Program in Latin American Studies and the Center for Collaborative History. For the fall 2018 semester, LACW will be coordinated by Pablo Pryluka. View past LACW events in our archive.